After Marshal Henri-Philippe Petain signed the armistice in 1940 the Gestapo began hunting down communists and socialists. Most of them went into hiding. The obvious place to go was in the forests of the unoccupied zones. Eventually these people joined together to form the Maquis. The communist underground newspaper, L'Humanité, edited by Pierre Villon, called for a "National front for the independence of France." In May 1942, Villon established the communist-based resistance group, Front National. 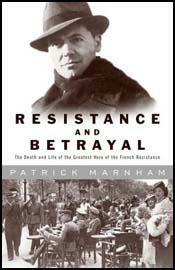 By 1943 the organization had become the largest of the resistance groups in France. In May 1943, Jean Moulin persuaded the Front National to join forces with Combat, Comité d'Action Socialiste, Liberation, Francs-Tireur and the Armée Secrete to form the Conseil National de la Resistance. It has been customary, since the war, to blame the Maquis for every misfortune and hardship that France has now to undergo. It is almost an unpopular thing in France in 1952 to have fought for France's liberation in 1940-45. And if one fought and perhaps died in company with British officers, it is now considered almost unpardonable. None of the 'best people' did it. Of course, they were not collaborationists - nor supporters of Petain - just the best type that waited to see what would happen. I wonder what, in fact, would have happened if all these brave men and women who continually risked life and property to save our liaison officers had waited on the fence? as the groups were concerned who worked with British liaison officers, we were only interested in their patriotism and their ability to carry out such tasks, and not at all in their political opinions. The courage of the communist militants in action against the enemy, the brutality of the repression of which the Communist Party is the object, finally the success - particularly in the northern zone - of the resistance organized by this Party, generally make us forget that from September, 1939 to June, 1941, the policy of the SFIC was defeatist. We must not have such a short memory and if needs be we shall use this argument, for we ask the Communist Party to prove that its present patriotic attitude is indeed a profound transformation of its conceptions and not a momentary tactic.